We are proud to share that our budding science lover, Aayushi Khare from grade 11 recently received the NTSE Haryana Science Scholarship. This is a two year scholarship awarded to a candidate on the basis of his/her rank in the NTSE, conducted on national level. Gladly, Aayushi passed the first level of Regional Mathematical Olympiad (RMO) with flying colours. 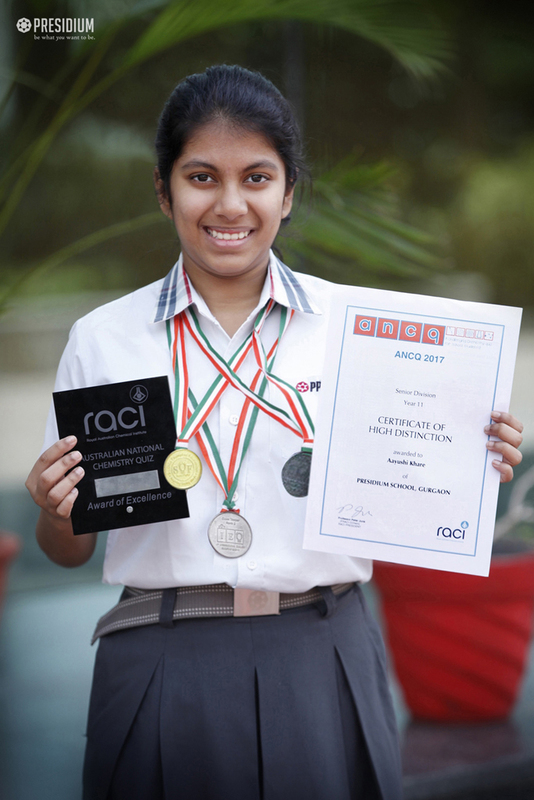 Another feather in her cap was added when she got a distinction with 99 percentile in the Australian National Chemistry Quiz. She has been regularly scoring really high school, state and national ranks in various NSO and IMO.